So I have not put up a new post since October. Wow. That is a really long time. Not that I actually think anyone is missing my posts, but if you were wondering why on earth I am not posting...there are a few reasons. I have found that bloggers need to take breaks. There are seasons when we just don't have the heart to post and post and post. Instead our hearts are focused on our home lives, our children, homeschooling...stuff like that. And my fall/early winter has proved this to be true. I also needed a break from blogging because I have been writing a book. So I have been writing, just not on my blogs. So, this isn't exactly my "typical" blog post...but I am hosting a Facebook/catalog Pampered Chef party. I seriously love Pampered Chef products - A LOT. And I use them - A LOT. So I am having a party to, of course, earn some free and discounted stuff (may as well be brutally honest - I mean, that's why we have these kinds of parties, right?!?!?). And I would really love, love, love it if you would make a purchase. As August rolls ever closer to September, and another year of homeschooling dawns, let me ask you a serious question: Why on earth do you homeschool, anyway? Seriously!! What is your reason for choosing this lifestyle of home education? Peer pressure from within your church? Or from your spouse? All-consuming anxiety about what the world might do to your child? In order to maintain a firm hand of control over your family? Those are all lousy reasons to homeschool. August is busy month around here. My two oldest are preparing to head back to their respective colleges (Wheaton & Taylor, each about 12 hours away). The three girls still enrolled in our family homeschool are making decisions about fall activities and dual enrollment classes, while hoping to somehow delay the start of school. And I am busy, as always, with what seems to be a million different things. But I want my kids to each take some time to reflect on this summer and enjoy it just a little longer. Be in the moment, not just thinking about what is coming next. Moms, the same applies to us. We need to daily decide that we will live in the now and not bemoan the past or focus only on what comes next. Life can only be lived right now, it cannot be relived nor lived in advance. So wherever life finds you today, be fully there. I know it's old advice that you've heard many times before, but it is sage advice and is worth repeating. Christian families of course ought to be praying families, just as individual followers of Christ ought to of course be praying people. And homeschooling mothers ought to be praying women. If you have not yet set apart some time this summer to pray over the upcoming academic year, let me encourage you to do so. If we feel led to homeschool due to our Christian faith, then it seems pretty silly to fail in praying over each homeschool year before it starts. I could give you a list of things to pray for, and sharply reprimand you for failing to thoroughly cover prior years in prayer...but that really isn't what I am called to do via this blog. I am all about encouraging homeschooling mothers, so I sincerely hope you are only ever encouraged by reading my posts. One copy of The Homeschool Mom's Bible (NIV). This is a hardcover Bible, which means it will hold up well for daily use, and I have to say the daily devotions are really, really good. 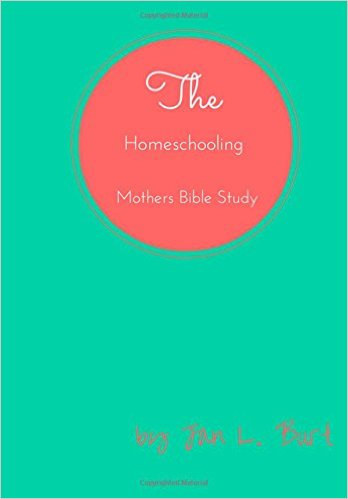 My purpose with this blog is to encourage homeschooling mothers, and this Bible is a great source of encouragement. Today is July the first, 2014. I can hardly believe it is now the seventh month of this year...it's as if I blink and another week flies right by. The American History series by James P. Stobaugh - this curriculum can speak for itself, so it most certainly does not need me to speak for it. There has not been any other book or curriculum that I have been so excited to review. My fellow homeschooling mothers, if you are in need of a high school history curriculum that is college preparatory in nature, then this is what you've been searching for. The physical description of American History is as such: the set of two books contains the TeacherEdition and the Student Book. The How-To-Use page is excellent, and the Preface clearly explains the author's attitude toward teaching history along with some personal background information that is insightful. It's pretty clear what this text requires of both parent and student, and while the work load may seem a bit overwhelming if you will give it a chance and be willing to invest a little good old-fashioned hard work then I promise you will see results! The book Seeking Allah, Finding Jesus by Nabeel Qureshi is an unbelievable insightful account of Islam from the perspective of one person who grew up in an Islamic home...and forsook all he knew when he found Jesus. The sinking of the USS Indianapolis is a well-known story to most every student of the second World War, and many who know little about those dark years have still heard of the Indy. It's one of the great tragedies of America's war history, and reading about it is never easy. But the book Out of the Depths, written by USS Indianapolis survivor Edward Harrell (United States Marine Core) brings a distinctly Christian perspective to this heart-wrenching tale. 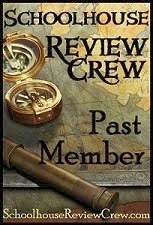 That is the first thought that comes to mind when pondering exactly how to write a review for the book Where the Wind Leads. To find a memoir that grabs such hold of the reader that you move seamlessly through it's pages and almost forget that the book will actually have an end is a rarity. I loved this book from the very first page. And while it is most certainly very Christian in nature, it is not primarily focused on the Christian faith of the Chung family. Where the Wind Leads is truly a memoir in the truest sense of the word; it is a historical account given from a personal perspective. Whatever the cause, I've been lagging in my blogging but I'm throwing up a post today. It's a simple post, just sharing a variety of quotes that I've written down in recent months. I hope at least one of the quotes is a source of encouragement for you! Carol Kent is a well-known author within the Christian community. She has a frank, open style that many find refreshing, and in particular her honesty regarding her son's imprisonment for first-degree murder have been a soothing balm to many women coping with their own unimaginable loss and pain. Unquenchable is not a Bible study, nor is it a memoir. It's a compilation of tragedies woven together in a way that spurs the reader on to keep trusting in the Lord, even when life is overwhelming and the flames of faith seem to be dwindling. The new book Twirl by well-known author and speaker Patsy Clairmont is a fun little book to read. I think it's aim is to bring a breath of fresh air into the spiritual lives of Christian women living in westernized cultures, and it achieves that goal with ease. Patsy's conversational writing style, combined with her anecdotal tales, make for a light-heated book. The short chapters can be read in any order, so readers are free to pick and choose topics that best suit their current needs. She's down-to-earth, no-nonsense. This is classic Patsy Clairmont. I would say this book probably is better suited to women of the next generation, as I'm not at the stage of life wherein I could appreciate many of the experiences, hobbies, and problems shared in Twirl. But even with the age/interest differences, I was able to glean nuggets of truth from Patsy's book. I find myself sharing the same sort of weblog post at this point each year. There's something about the month of March, the warmer weather, perhaps, that draws our hearts and minds toward the outdoors and leaves us anxious for summer...and often also leaves us lacking as we finish up the last long weeks of the homeschool year. But I want to encourage you, yet again, to press on and finish well. Open the windows and enjoy the fresh air. Take some of your books outside and study in the sunshine. Take a couple of field trips. Be blessed by the change in season, just don't neglect to be a faithful homeschooling mother. Spring is a blessing, a gift that reminds us of God's faithfulness throughout all generations to sustain us. In literal and spiritual terms, spring carries the weight of new things. Enjoy the blessing, celebrate this season, and honor the Lord by finishing the school year well. The book Restless (by Jennie Allen) is a book written for those who want to be more of who God made them to be and who are willing to allow their past to propel them into their future. It is not just a book you read; it's a study you take part in. With easily readable chapters that aren't too lengthy (which is key for most busy women I know), Restless is a book that can draw the reader closer to the heart of the Lord. There are a lot of things that I really love about this book. Jennie Allen's open and honest writing is refreshing and her desire to see women grow closer to their Lord through open honesty and small groups are something the modern-day church could use a lot more of. And in every chapter I found at least one "take away" ~ some nugget of truth that impacted the way I view my life and my ability to glorify God in all of it's ups and downs. It's almost St. Patrick's Day. And I am, eh-hem, decidedly Irish. Ask my husband. Ask my kids. They will tell you I am, indeed, undoubtedly, very Irish. I fight against it. It's my bane in so many ways. Being a "typical" Irish woman (if there is such a thing) and being a submissive, godly Christian woman seem to war against each other. They don't jibe well, if you know what I mean. That whole idea of taming the tongue? Well if it weren't for the Holy Spirit, I think my tongue would run non-stop and demolish everyone and everything in it's path. I'm not making light of the situation here - I am very serious. Thank God for His Spirit, and the rescue He has provided time and time again from the snares of my Irish bent! Every believer desires to know God's will for their life. His exact will. And, hopefully, His will is very good, filled-to-the-brim with blessings. That's pretty normal. I'd be willing to gamble that most Christians would admit they want His will for them to be good will, and they would like to know what His is for them. Here's my question: Is it enough to want God's will, even if that means I don't have an exact picture of His will for me personally? The book Satisfied by Jeff Manion is now on my "Favorite Book List". It's subtitle, Discovering Contentment in a World of Consumption, does give you an idea of what the book is about; but Satisfied is much more than just another Christian book on finances, tithing, generosity, the effects of greed, budgeting, and so on. It's not like any other book I've read on the topic of what followers of Christ do with their money. The chord it struck within me was unique, and this book is not only one of my new favorites, it is also now required reading for my children during their high school years in our homeschool. Now that it is February, the dreaded Winter Doldrums have fully set in for most homeschool families. It happens to the best of us, and there's no shame in admitting it. But a little thoughtful planning now can ensure an excellent end to the school year in spite of the winter blahs. Here's what you do to make May/June a time of blessed relief instead of dreaded bookwork. Most American Christians have heard the name John MacArthur, and many have perused his resources, including his multiple Bible study guides. He certainly knows the Bible, and can quote chapter and verse on most any subject. I was interested to see what Mr. MacArthur might have to say about the Holy Spirit. What I found in the book Strange Fire wasn't what I expected or hoped to find; much of what he has written here disturbs me. And not in the way he intended his readers to be disturbed. When I pray this, I am always instantly convicted and filled with a need to please my Lord. When I pray this for others, I am heavily burdened with a desire for them to know Him more and more, in such ever-increasing measure that their heart's meditation is refocused on Him and Him alone. When you're in the middle of a difficult homeschool day, this is the perfect prayer. If you're late getting dinner started, this is the perfect prayer. On those days when your entire family is down and out with the flu, this is the perfect prayer to pray. It will center your heart and mind on glorifying the Lord with your words and in your heart, and it opens the door for the Holy Spirit to lead and guide you moment by moment. As a mom to five terrific kids, I'm always looking for resources to grow me as a parent and as a home educator. Of course, my primary source of encouragement is God's Word, but I also invest in materials that will bless me and - hopefully - benefit those around me. Growing Great Kids is one of those resources. As a SAHM who homeschools her children, I probably don't appear to be the logical choice to review a book on business practices! But in all actuality, homeschooling mothers have more than one full-time job that they're juggling at the same time. Children in multiple different grades, combined with the role of guidance counselor, multiplied by all the "typical" things a mom takes care of on any given day. Speaking personally, there are days when I wonder if my daily tasks could possibly be any more taxing were I in the official "working world". 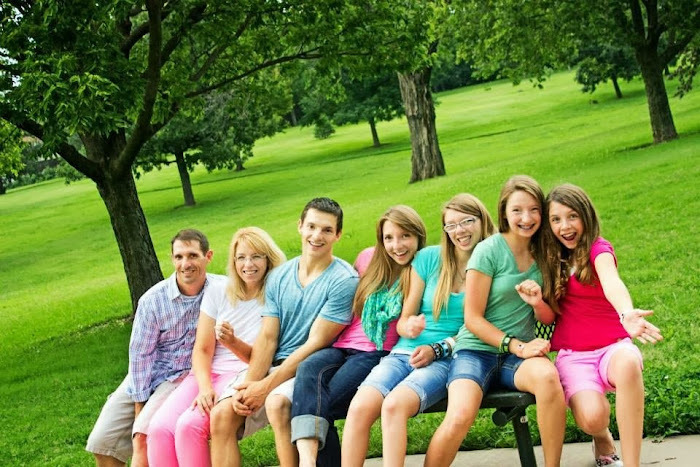 I have one son (and four daughters!) and he is the oldest...so you can imagine that he is an overprotective brother who didn't get an excess of rough-housing when he was growing up. Don't doubt that he was ever anything less than all boy. He was all boy and is now a 21-year old man. He wrestles in college, so maybe he is making up for the lack of rough-housing during his younger years! Today I'm just re-posting my most read post - and my prayer is that it will be an encouragement to homeschooling mothers as they begin the new year. A Homeschool Mom's Devotional (# 1) Colossians 4:17 tells the reader to "be sure to carry out the work the Lord gave you".